The central city and capital of the province of Granada, the city of Granada, has been home to settlers since before records began and has been influenced over the centuries by many cultures and religions. The Alhambra, a Moorish citadel and palace in Granada, is world famous and is a hot spot in Spain for both cultural tourists and pilgrimages from Muslims, Christians, and the Jewish. With several other palaces, cathedrals, museums and many interesting architectural achievements – including the complex of Arabic wells, which are unique in Europe, there are certainly many sights to take in and interesting places to visit. There are plenty of places to visit in Granada, each corner hides a new wonder, so take a stroll and lose yourself in its streets, you won’t regret it. 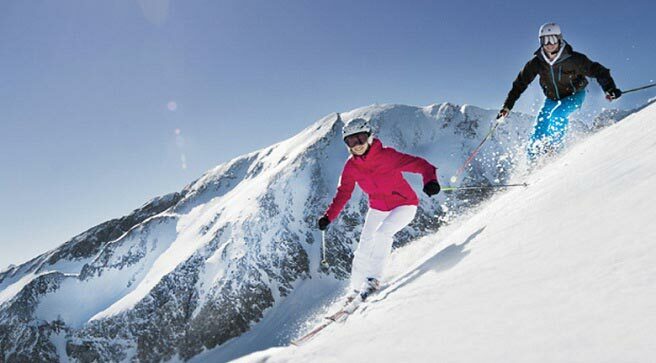 We would like to mention Sierra Nevada, the unique ski resort in Andalusia and one of the top ten ski resorts in Europe. The enviable location of Sierra Nevada allows you to practise skiing in the morning and relax on the beach in the evening (it is just 45 minutes from the coast of Almuñecar, Granada, and no more than 2 hours away from Malaga). Find further information about holidays in Sierra Nevada at Malagaholidays.com, including weather, lodging, webcams and transportation.